Thank goodness it's not just me - I've really enjoyed being on my own again this week. Tidy, peaceful house, good crafting time and I've got thinking space in my head again. I feel inadequate when I read some other Mum's blogs and they seem to enjoy every single second with their kids. I love mine so much but I don't seem to be that type of Mum. Whoops - just ordered it off ebay - how impulsive am I? You're a bad influence!!! I know what you mean about getting the kids back to school. I have to admit I am no mother earth, I even forgot at what time my daughter needed collecting from Pre-shcool. They have then gone and given me a newsletter today with all the inset days on it! How rude!! It truly is a relief to know I'm not the only mother out there enjoying the fact that my kids are back in school. I've spent most of the week drinking quiet, uninterrupted cups of tea, and trying to gather together the few remaining bits of my sanity! Well, they are back to school but only during the day - what about the afternoons!?!? 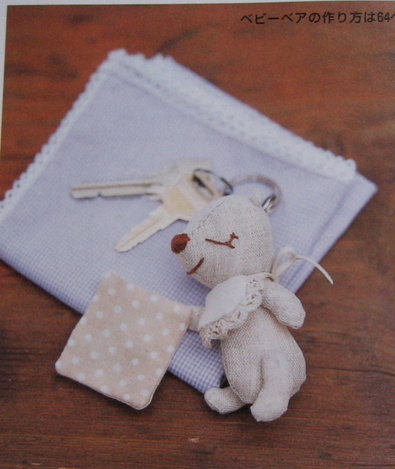 I absolutely adore that little keyholder bear! 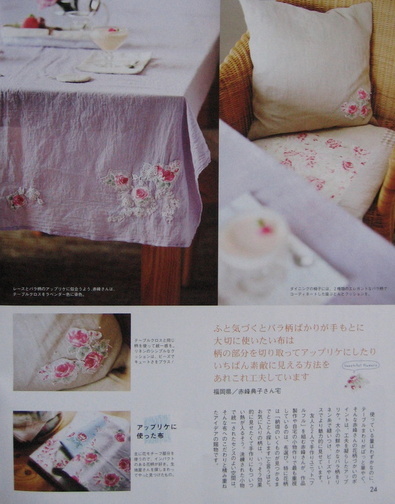 Sometimes one can find vintage linen (bed and table) but ususally it's very pricey. I thought it would be easier in England where there are so many charity shops, no? Good luck and strong nerves! Oh, the tissue holders are very sweet. I also made a couple of them too small and did you know - there are small tissues available! Love love love that little red riding hood. Preschool starts next week and I think I'm more excited then the kids. It's been a long summer. I'm so glad you survived the time and have still retained your lovely sense of humor. 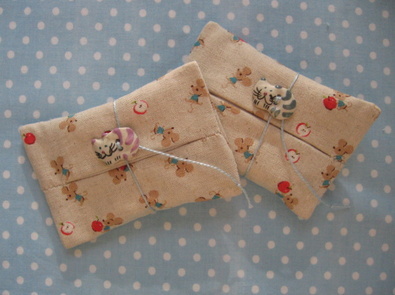 The mini-tissue holders are so adorable and the cat buttons are such a sweet detail. The new magazine has wonderful ideas and I'm going to visit your links to see if I can get a copy of that issue, too. Hi! I've secretly read and enjoyed your blog for a few weeks and now I must speak up and say: GREAT,YUMMY STUFF! Thanx for the peeks into your creative inspirations and process! I love love love your work! Come see my babies at etsy and tell me what you think ... biz is slow so I'd love any hints! I'm a homeschooling mom so I don't get summer and holiday breaks. Before you think I'm some kinda supermom - DON'T! My 11 and 15 yr old have learned to be self-learners! They go to school online and know that when mom is making Art she has "left the building"! Anyway, moral of the story is - it get's better! Although you lose the cute chubby hands getting into everything(and I do miss my sweet girls as babies! ), you begin to settle into a kind of understanding where you get periods of quiet mixed with times of snuggling up as friends! I know you'll find a way to have fun all along the way! Thanks for the hug. Yes, my 4 kids are in school and I have to admit, I am enjoying some free time! I love that magazine. I traveled 40 minutes to Little Tokyo in Los Angeles to find it without success. I don't want to order it and pay shipping because I am cheap! Your post today made me laugh a lot - thank you! Thank you also for putting the links in for the magazine - it looks excellent. I'm assuming you already know about www.kitty-craft.com as I'm sure your tissue holder fabric is stocked there, but if not then they would probably do nice linens. (tissue holders are gorgeous, by the way. And while we're on the subject of trying to source fabrics, does anyone know where in the UK stocks Heather Bailey's freshcut? - I can only find one place - www.quiltroom.co.uk, but I want to pick my fat quarters individually rather than buying them in packs. Your blog makes me laugh and feel human for NOT being a super Mum! I have three children, 7, 5 and 4 the youngest started school this week but will only go mornings until christmas because of her age?*! if she is old enough to go to school surely she can go all day please! Everyone keeps asking me what I am going to do with all my free time and all I can do is laugh, they definitely cannot be crafters! Keep up the good work of inspiring, humouring and generally making us feel good and wanting to create. You swear away lady!!! I love the buttons - are they ceramic ones?? I bet its lovely and quiet in your house now - apart from the cat that is! I am SO glad my eldest is back at school, I find being a good, gracious, calm parent very hard and I find it disheartening to read about all the perfect parents out there, so thank you for your refreshing honesty! I always thought small children were hard to handle, but you ain't seen nothing yet! (mine are 14 and 17). Thank you for the lovely pictures, I love the wolf and the cute teddybear! Hi there, Great pics from cotton time! Cute tissue holders, I think everything you make is great, My favorite has to be the wolf baby! I discovered a good linen supplier recently they stock plain and pattered weaves, not cheap but lovely! I love the fabric you used for the tissue holders, very cute! And the keychain softie is adorable! just email me your address. And thanks too Lyn for your lovely comments - you're a star! Yes always so many cute softies. 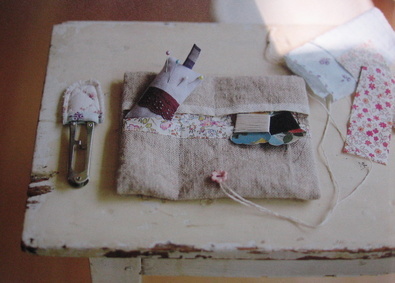 I just have to make some of these cute little tissue holders - so sweet. 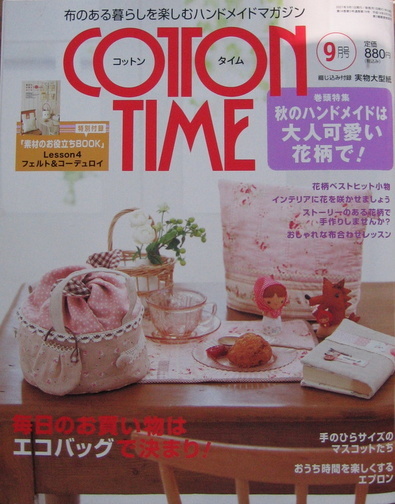 And thank you for the sneak peek into Cotton Time. I know just how you feel! I homeschool, so I barely have one day every couple of weeks without kids! I have just finished writing a book, and boy was it hard with kids sitting on my arms! I'm thrilled that DS has started Kindergarten. The first week was tough on both of us, but he is doing wonderfully and I'm adjusting to time alone in a quiet house! Oh dear, Lyn! I have just been laughing because I have been celebrating the first day back at school and having gotten through the first whole week! I never thought I would be woman that celebrated the day her child went back to school, but I also never thought I would be the mother of a child who celebrated the first day of school either. I assure you I am not "mean mommy" even if that's what she currently calls me, but I do believe in the benefits of a "boring" summer. So funny, I have a similar post on another blog! Hurray for our crafting mojo coming back! Hopefully my daughter will be going to preschool in January, but for now I'll have to cram my craftiness into her rest time (formerly known as nap time). Yes I completly agree, I'm am certainly better with my 3 year old back at nursery, and I think she is too, we drive each other crazy, especially arguing over what clothes she's going to wear (she wants to wear the england football kit that my husband bought her on a daily basis, and I want her to the funky little clothes I buy her from H&M and Zara!) and I can ever get any work done because of the constant 'muuuuummmm!! can I have, I want, etc etc..........'. I have an alarming amount of wine bottles stacking up in the kitchen, and down the side of the house, when I eventually get round to taking them to the recycling, I'm sure I'm going to get funny looks! Loving the mini tissue holders very cute, glad I'm not the only one who f***** ups the measurements though. What are you talking about - beinga parent hard? You mean the sleepless nights? Car-shuttling? making lunches (that come home squished in the bottom of the bag b/c they decided they didn't like it anymore)? the pre-teen long list of hormone inspired agony? the constant hemming of pants? um - did I leave anything out? Not to be so negative sorry about that - I love the photos of your little tissue holders & putting up the Cotton Time picks - it's very inspiring and a nice escape to have crafting to unwind with. By the way, I just noticed the category on your sidebar titled "Posts that contain mild swear words-Warning"............too funny. =) I love your blog. If you're after a bargain then I understand that Ikea stock natural coloured linen. I LOVED going to Ikea but since relocating to New Zealand, the closest one to us is Sydney, Australia!!!! 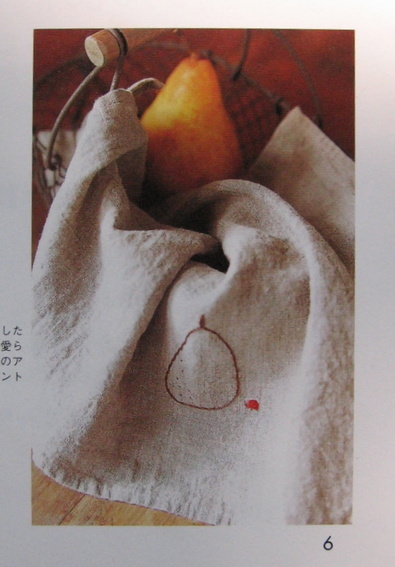 is Cotton Time or cotton paint much interesting for this issue? Thanks for that hug, I needed one....my little boy pooed on the floor today :( I have spent a good while sniffing the rug to make sure I picked it all up!!!! Where do you get your lovely fabrics from. And how easy is it to applique?? Oooh, lovely mini kitty tissue holders! Of course you didn't mess up. That was a creative departure from the original plan. 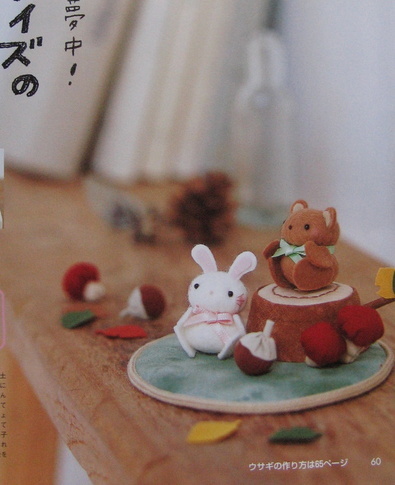 I love the little bunny and bear in that one picture! how tac ky would it seem to buy the magazine just for them! Not that I'm not idgging on the other things, but they make my heart sing! The mini tissue holders are adorable! 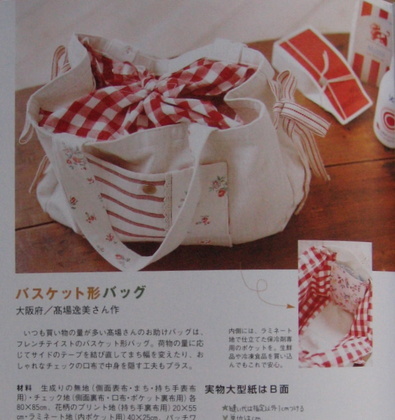 That print would make cute coin pouches as well. 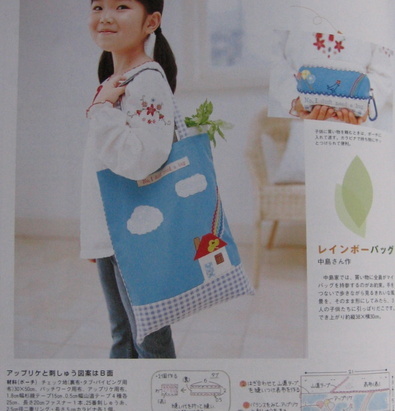 And arent those japanese craft books the best? I just got one on felt mascots and everything is so darn cute! My little one has been after me for a tissue holder to take to school as well - I love the buttons on yours. Yeah to the end of the school holidays! My elder daughter only goes to nursery in the morning and my younger daughter is 14 months old but I was so glad when it was September again! A little more time to try and craft! Thank you for the info. on where to get those beautiful magazines! Just found your blog, fantastic! You are a dear for posting these. 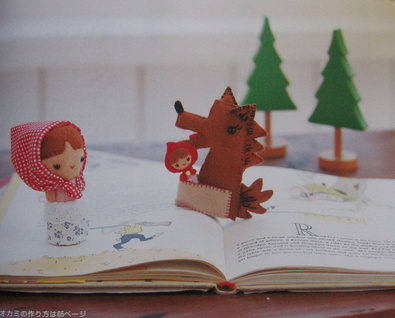 I would like to go into a shop and buy up an armful of Japanese craft magazines and books, but 1) I can't afford it and 2) we have no such place in the backwoods town I live in. *sigh* So I am dependent on kind internet souls who take the time to scan and post their own. I *love* the Little Red Riding Hood. The bear is very cute too. Hard being a parent? You've heard your mother exclaim how tired she is etc but you never believe it till you get there yourself! You are so clever -- my cute softies didn't turn out so cute, they turned our to be lobsided, and seriously deformed! 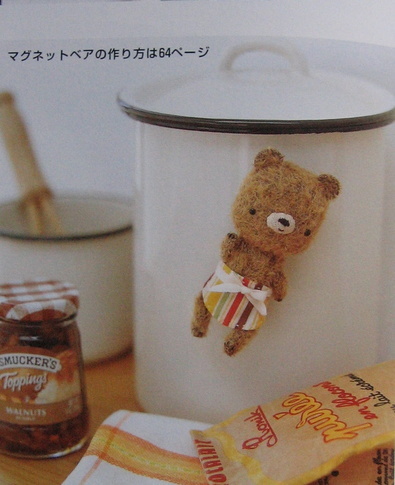 Hi there, found your blog whilst doing a search for Japanese Craft books. What an absolute lovely blog...all the georgeous pictures. All those yummy things to make!!! 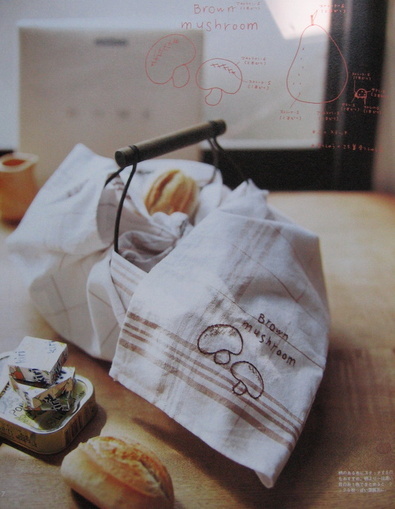 Copeland Linens have - linens (for starters)not obvious was it - and other bits and pieces. Merci de partager vos si jolies et poétiques créations !